The storm roars on as rain lashes the region and wind bends the trees in incredible arcs. Rivers and lakes swell from their comfortable grooves through the rainforest as mud oozes over the landscape, trapping flora and fauna in the moment. 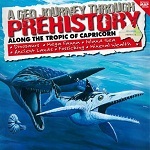 Welcome to Alpha 200 million years ago. Beware of mudslides- or you might become fossilized too! Alpha and the surrounding region offer evidence of an incredible geo journey. As you hold a piece of fossilized wood, or admire the Drummond Range, you are connected to an ancient story. Violent volcanoes, dramatic shifts in the earth’s crust and years of harsh environmental changes have drastically transformed this landscape. 265- 235 million years ago the Drummond Range formed when crustal compression occurred, folding the sediments and uplifting the terrain. 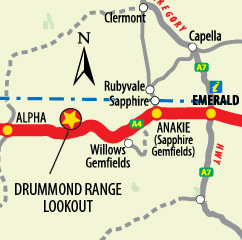 Around 1884 pioneers settled further west along the Tropic of Capricorn, the town of Alpha was established over the Drummond Range. 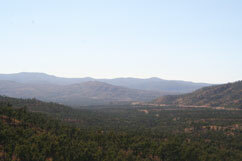 The name taken from the Greek word meaning – “the beginning” – is claimed by locals as the beginning of the west and the entrance to the Central Highlands. Today the Drummond Range sits at 451 metres above sea level and residents and visitors to Alpha still find fossilized wood today, reminding them of the region’s Geo Journey. How can I experience Artesian Waters? Enjoy an expansive view across the Drummond Range at this lookout, a short detour from the Capricorn Highway. Head to the Rowley Roberts Tourist Information Centre, Alpha, where the volunteers can show you examples of petrified wood and direct you to where you might discover your own piece in a natural setting. Visit the Rowley Roberts Tourist Information Centre, Alpha.